Q. EndNote Referencing has strange font and spacing in Word. My EndNote references keep formatting in a different font and spacing to what I've chosen for my Word document. How can I fix that? 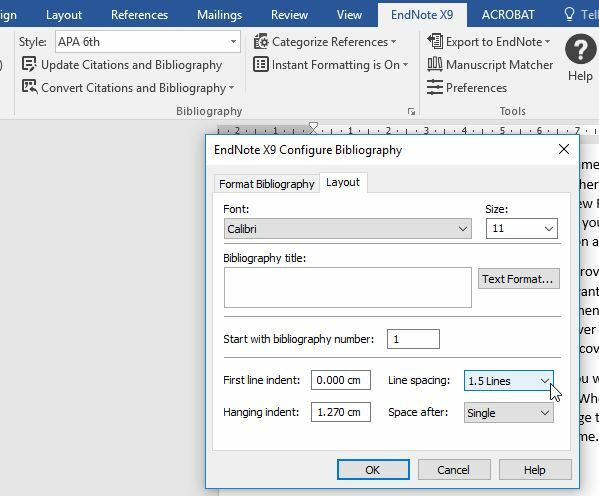 You can change the font and spacing for EndNote Citations in the EndNote ribbon in Word. On a Windows PC, drop down the Bibliography controls using the small arrow in the bottom corner of the box. Click on Layout, and adjust the font and line spacing to match what is required of your document. 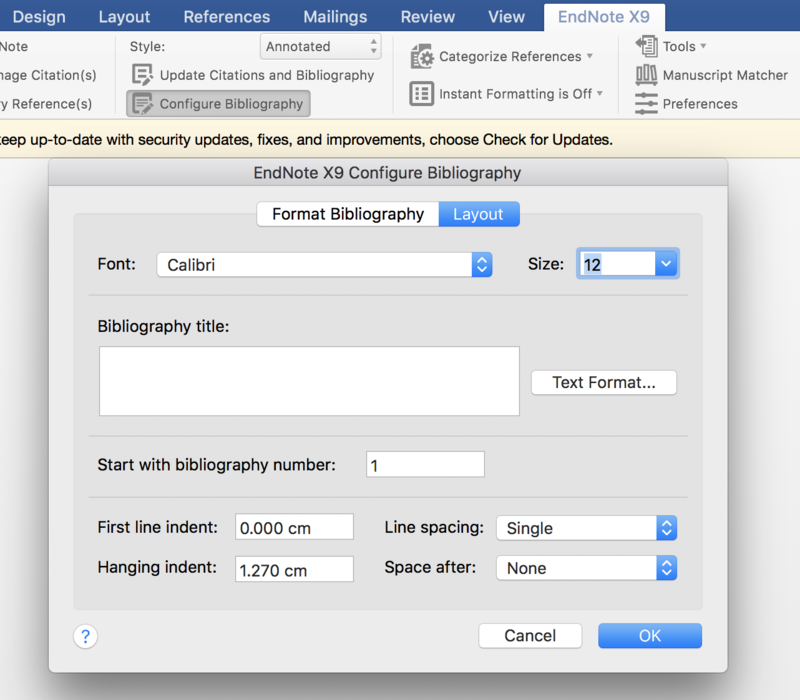 For a Mac, click on "configure bibliography" in the EndNote controls in Word.